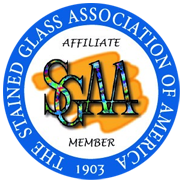 Live in the rugged southwestern setting every day. 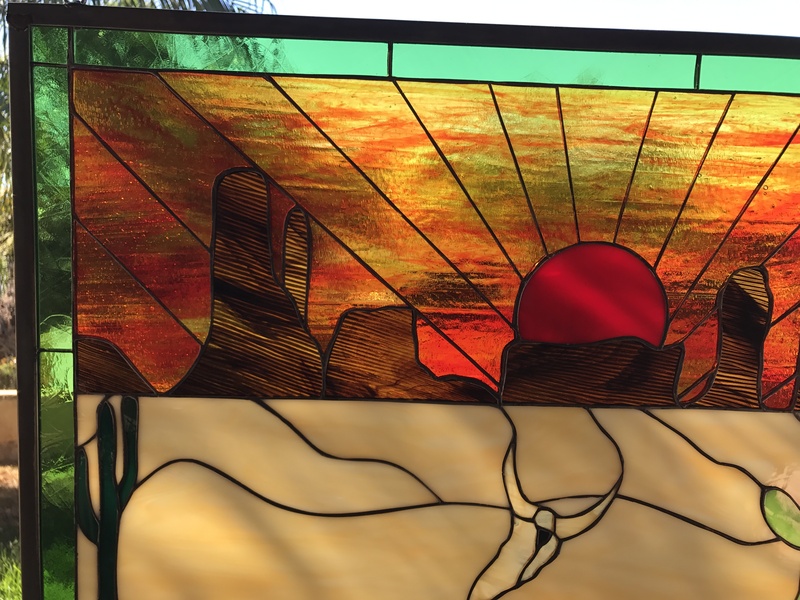 Our southwestern sunset and buttes stained glass window panel allows you to gaze fondly at the buttes dotting the landscape on the horizon while the red sunset burns down on the land. 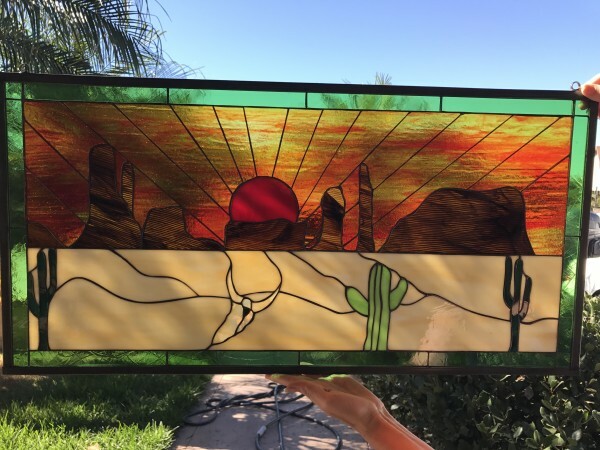 A cattle skull and cactus complete the desert imagery while the light from your windows creates a warming illumination through this dazzling scene. 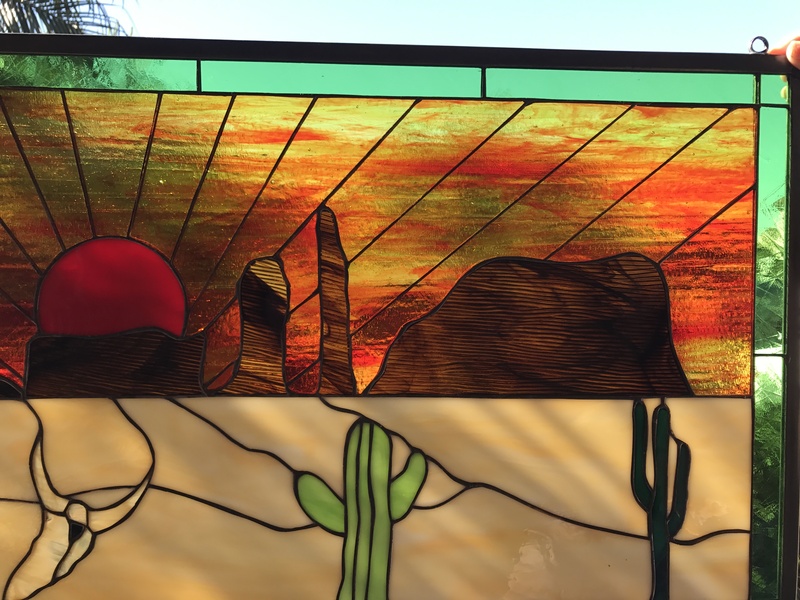 Pairing beautiful buttes with a sensational setting sun, this stained glass window has it all. 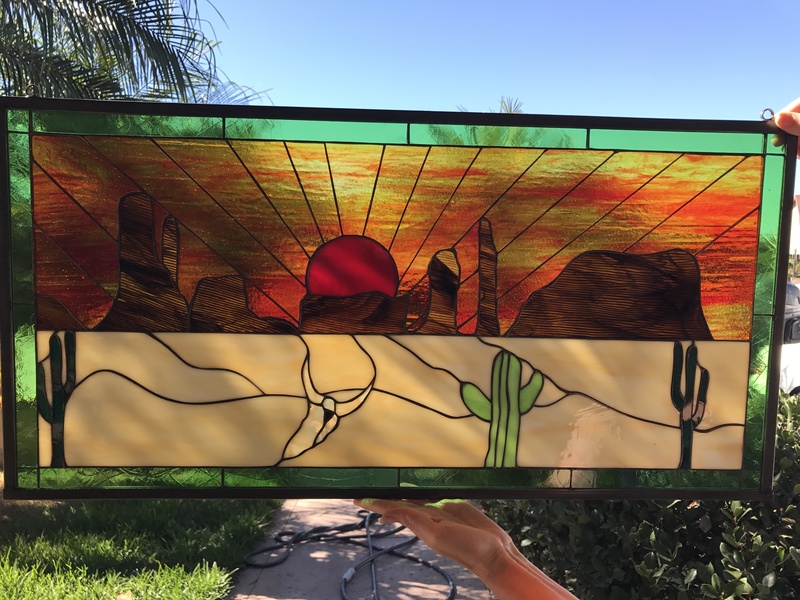 The colors in the cacti and the rocks have to be seen to be believed.